The property is located on the Rohais, close to the junction with Le Foulon and can be identified by the signage displayed by the office tenant, Ross Gower Group Limited. The parking area to the rear of the premises takes access from Le Foulon. 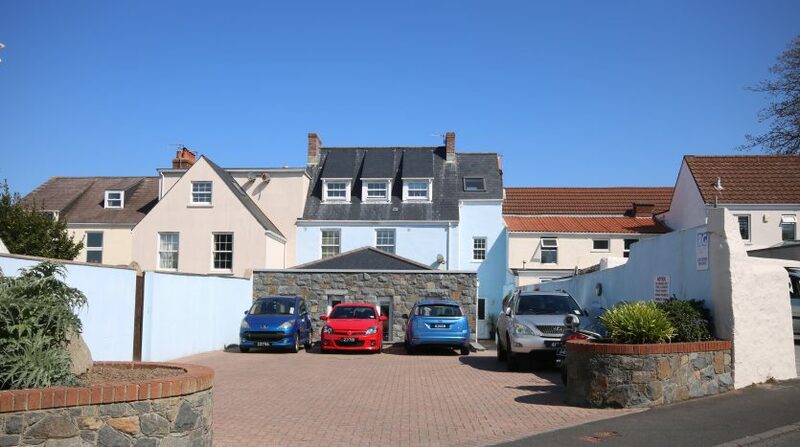 The property comprises a mid-terrace, three storey, building which was extensively re-built and extended circa 2010. 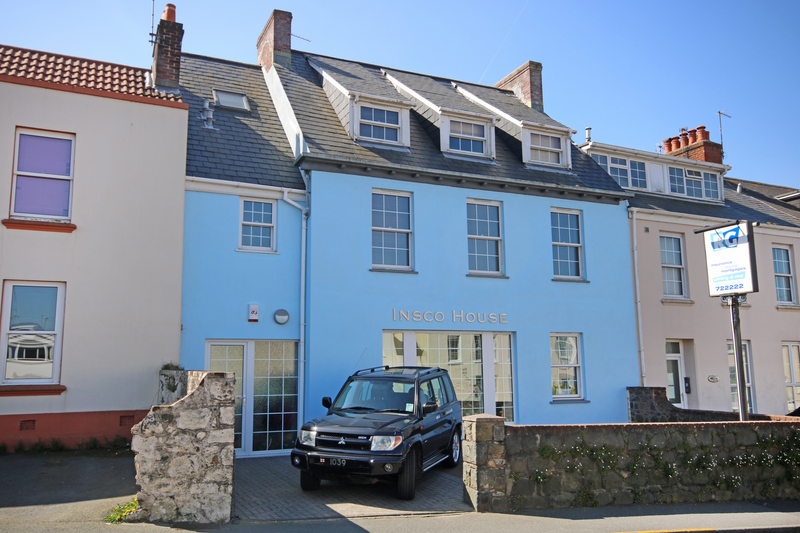 The ground floor comprises approximately 1,314 sq ft of office accommodation. A communal entrance hall located at the rear of the property provides access to a two bedroom apartment on the first floor and a one bedroom apartment on the second floor. To the front of the premises is a forecourt which provides parking for two cars and to the rear is a car park with spaces for 9 cars (7 of which are clear). The offices are let to Ross-Gower Group Limited for a term of 12 years from 1st May 2013. The rent passing is £44,000 per annum, including parking. A 2 bedroom, Local Market, apartment which is currently let on a short term tenancy, generating £13,100 per annum. A 1 bedroom, Local Market, apartment which is currently let on a short term tenancy, generating £11,400 per annum. 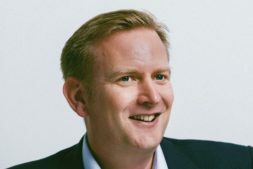 The Property is currently generating a gross income of £68,500 per annum. 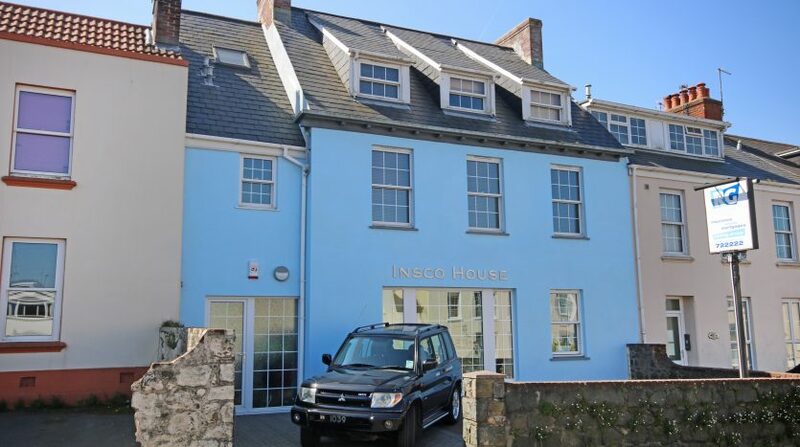 An excellent opportunity to acquire the freehold interest in Insco House. 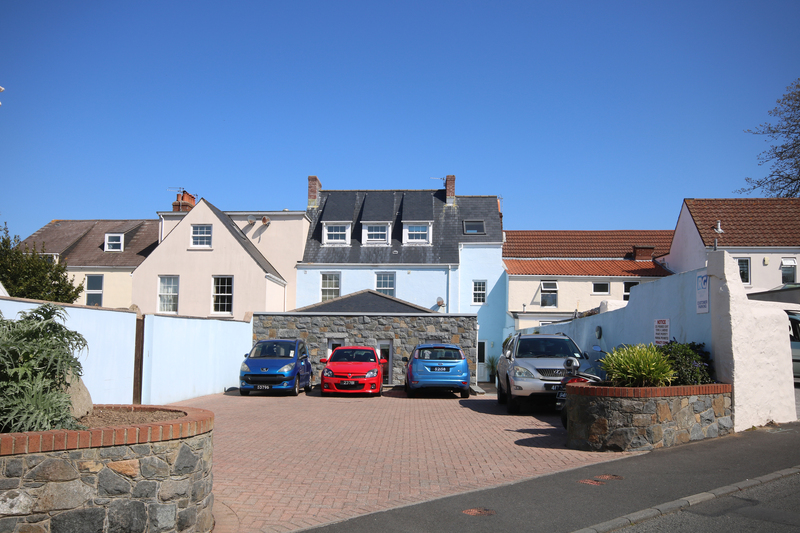 The property is situated in a prominent location and offers a mix of both Commercial and Local Market residential accommodation. The premises were subject to an extensive scheme of re-building and extending works approximately eight years ago and are very well presented both internally and externally. £895,000 (Eight Hundred and Ninety Five Thousand Pounds Sterling). The premises are available immediately by negotiation.